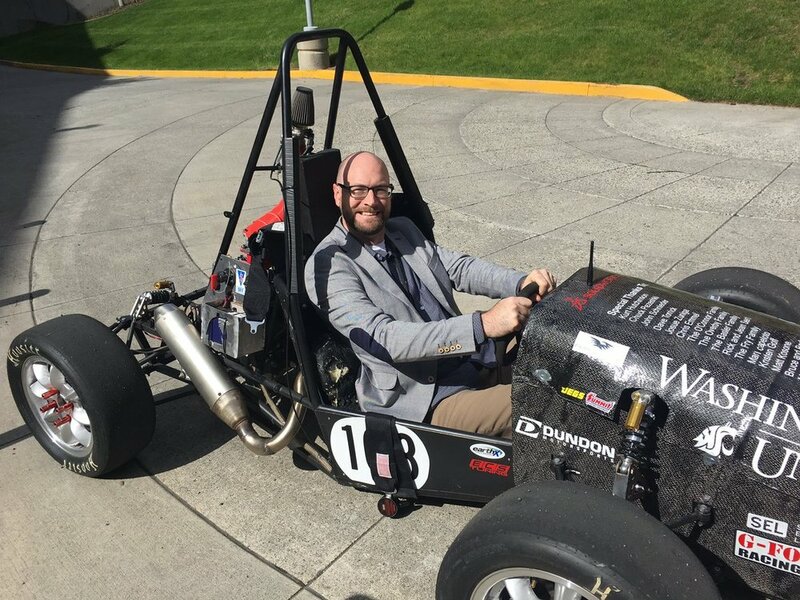 Structural Associate, Matt Snook, P.E., S.E., judging the Alaskan Airlines Imagine Tomorrow competition hosted at WSU. At Coughlin Porter Lundeen, we love the idea that we can help shape the next generation of great engineers. Internally, this means we have dedicated task teams, host regular lunch and learns, ensure young engineers are exposed to a variety of projects, and continue to expand our mentor program (to name a few initiatives). Externally, it means we support professional associations and groups, focus on recruiting top talent, and, on special occasions, crash college classrooms. Our collective team has attended universities around the world, but as you’d guess, our Seattle office has an abundance of Cougars, Huskies, and Redhawks. For more than two decades, Coughlin Porter Lundeen and Washington State University have collaborated. Not only has our team designed numerous buildings on WSU’s campus, but we regularly attend WSU-hosted events and support the Voiland College of Engineering and Architecture. Each year, we step into a WSU classroom to help students understand how their lessons translate to the real world. This year, Structural Associate, Matt Snook, P.E., S.E., and Structural Project Engineer, Tyler Weinbrecht, P.E., profiled a project, sharing the full design process (including scope of services, design and construction schedule review, document review, entitlements, design codes, and overall process). Concrete examples, drawings and calculations showed students see how their studies will support real projects in the future, and a lively Q&A session helped. Our classroom takeovers at WSU are one of our favorite traditions, and while we certainly hope students benefit from our presentation, we think it’s just as important to leave them encouraged and excited. Interested in arranging a civil or structural engineering Classroom Takeover at your campus? We’d love to talk!